Could stress be the reason you're struggling with various health concerns? You wouldn't be alone. Recent estimates suggest a large majority of office visits have stress as the underlying cause. Less stress, more enjoyment! The bottom line - Less stress and more enjoyment every day! Stress self-check: How many signs do you have? While you might think your short temper is just part of your personality, it could be due to stress. Here are the warning signs. How many do you have? Anger; Tense behavior; Feeling wired or keyed up; Irritability; Sadness; Restlessness; Impatience; Breathlessness; Back discomfort; Digestive distress; Blood pressure issues. 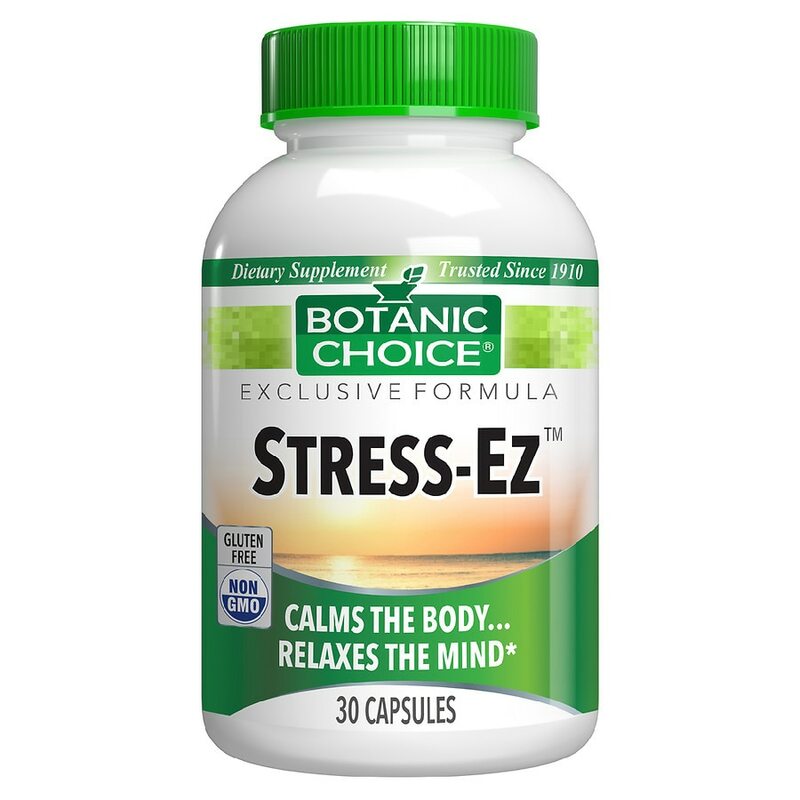 If you can identify with two or more of the above, you owe it to yourself to try Stress-Ez. Get it today and start getting more out of life tomorrow. Take one capsule daily, with a meal, as a dietary supplement, or as directed by a physician. © 2012 Indiana Botanic Gardens, Inc.
Kava Kava may harm the liver in some individuals. Ask a healthcare professional before use if you have or have had liver problems, frequently use alcoholic beverages, or are taking medication. Stop use and see a doctor if you develop symptoms that may signal liver problems (e.g., unexplained fatigue, abdominal pain, loss of appetite, fever, vomiting, dark urine, pale stools, yellow eyes or skin). Notice: Do not use this product while taking any prescription drug(s) without the advice of your prescribing physician. Avoid excessive exposure to UV irradiation (e.g. sunlight, tanning) when using this product. KEEP OUT OF REACH OF CHILDREN..